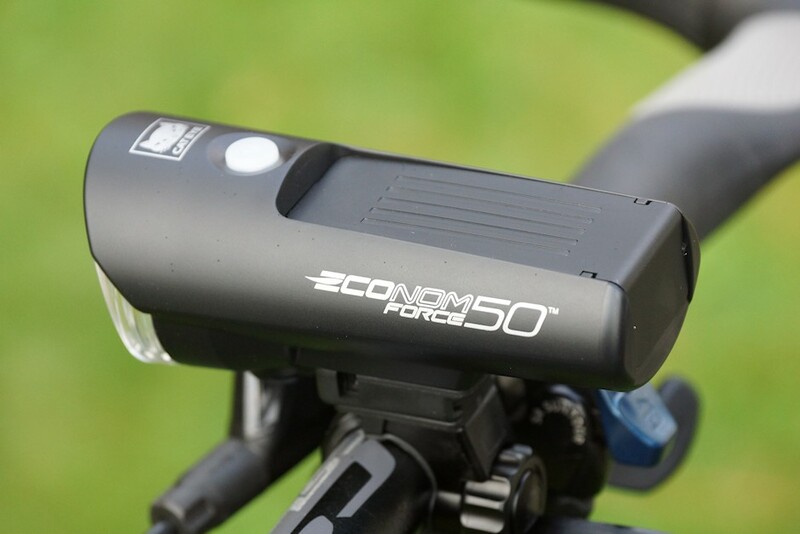 The bicycle lighting Econom Force 50 from Cateye is a LED lighting with lithium-ion battery technology. As usual, we look at ourselves in our test handling, burn time, the Anbaue and the luminosity of. If the headlights the disabled, which the manufacturer promises? We’ll find out. 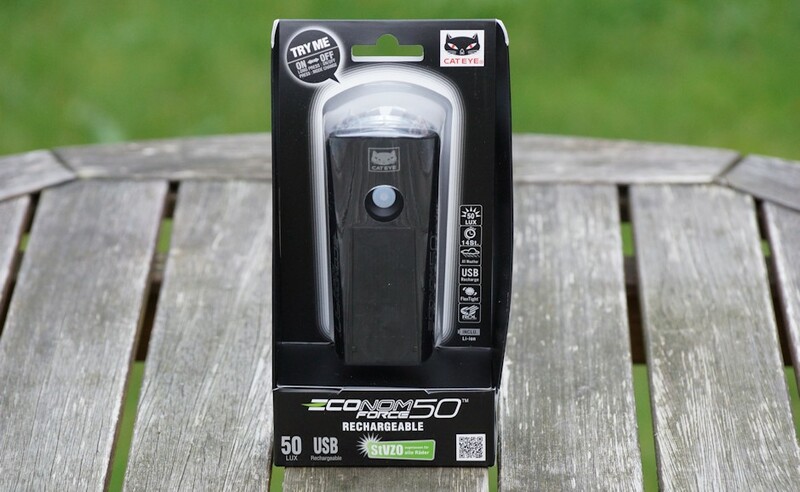 was supplied the headlights Force 50 HL in a simple yet stylish packaging. 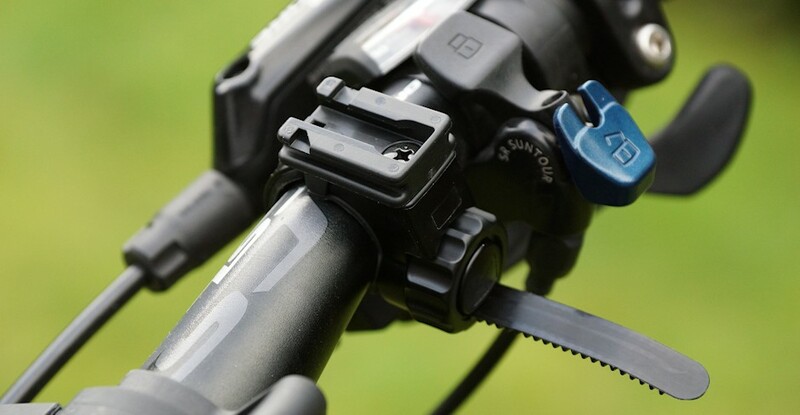 Included is the LED bicycle light itself, a charging cable, the integrated battery and the holder for the handlebar or other horizontal bar on the bicycle. The bracket fits it on pipes with a diameter of 22 mm to 32 mm. The USB charging cable is very short, with its 20 cm. Who would hereby invite the lamp, must remain in the immediate vicinity of the USB power source. With 50 lux headlight is very strong position. In comparison, the Trelock LS 750 IONheadlamps creates 30 lux and the Sigma Lightster bicycle headlight comes on 20 lux light intensity. Also 50 Lux has the IXON Core of Busch and Müller achieved. Similar to the Busch and Muller, also of the Cateye HL manages 50 Headlight 50 Lux not during the entire battery life. Weighing 183 grams of bicycle headlights is quite sturdily built. Let us hope that it is the battery, which brings the gram on the scales, he correspondingly long. We have let the bicycle lamp with a full battery burn, after about XY hours, the lamp switches from 50 to 15 lux down. With 15 Lux itself (more about this in is still 5 lux above the legally prescribed 10 Lux. Bicycle lights Test ) Total is the Cateye bicycle lights can to «Hi» Max Power and 14 hours on «Low» Power light 4 hours. The two «Leuchtmodis» are adjustable via the button on the top of the lamp. Pressing the OFF switch for about 2 seconds, the spotlight turns to the last selected level.With a short press the button, you can choose between back at the two light intensities and forth. The switch itself has an LED, with the charge status is indicated by the battery headlight. If the lamp is connected to the USB charge indicator light glows red. Here Cateye Gbit reporting: After lighting up of the battery indicator does not function properly is more in compliance with German added. Cateye are here 14 hours as maximum light duration at. 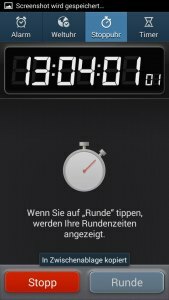 In our tests, we have come to 13 hours and 1 minute at level «Low» and 4 hours and 43 minutes level «Hi». Thus we have the manufacturer information outbid by 43 minutes in the «Hi» mode. The red light is tackled after about 4 hours. Thus we have in the air, a 3.6 volt battery with 4.4 Ah is installed. The charging time from the battery is 8 to 14 hours, in this case it depends on how supplies the Micro USB charging socket with power. Per laptop it would certainly take a little longer, who invites the other hand, with a current strong power supply, can reduce the charging time. With us the full charge lasted almost 8 hours. The charging socket is located on the underside of the lamp and is secured with a rubber stopper against the ingress of moisture and dirt. Thanks to easy, tool-free assembly is granted laymen, to attach the bicycle lamp. The holder has the principle of a clamp and is placed around the pipe. A kind mother can now use the clamp on a thread and make the resulting loop close. In the picture you can see the wheel well. The plastic strap with the thread (bottom) is about a little here, according to this link may be reduced after installation. The holder takes place so firmly on the tube / handlebar. The bicycle lamp can now be pushed into the holder. The installation takes some 30-45 seconds, depending on skill. After locking the spotlight is firmly seated and can be achieved via a small lever. Given purely press this button and pull out the lamp to the front again. 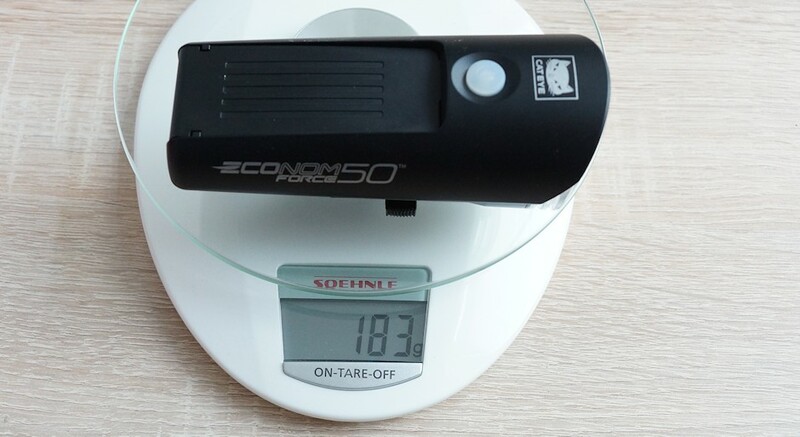 The bicycle lamp is just under 183 grams a true heavyweight, under our tested bicycle lamps and is thus, in the weight category of Trelock LS 950 (about 185 grams). 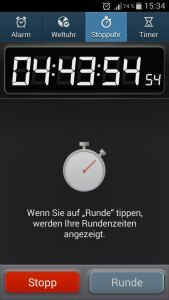 The battery life is with 4 hours and 43 minutes at 50 LUX very good. With us, the lamp in the «Hi-mode» for longer than the manufacturer’s specification has shone, it is pluses. The processing of the lamp is high, errors or flaws are nowhere. On the Internet found hints «Not rain resistance» we could not confirm. We have kept the spotlight under running water, here no water gets into the air.Not quite as good is the short USB cable and the long battery charging time. 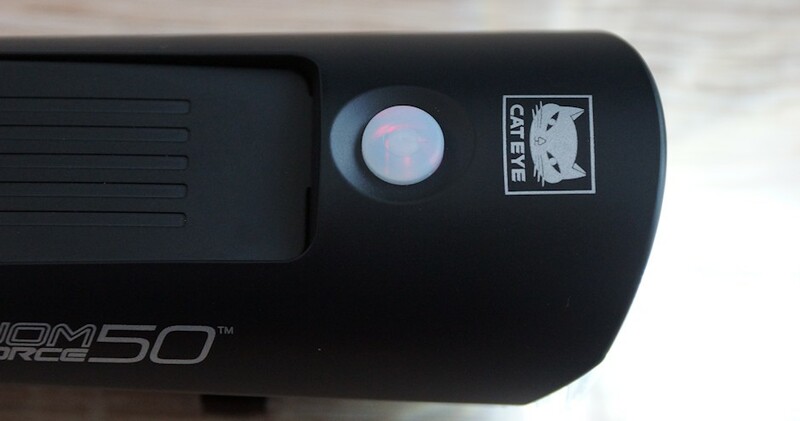 Overall, the Cateye Headlight of us gets a test result «VERY GOOD» and gets 4.5 stars out of 5.The maximum level is very bright and lights the way very well. Who often on roads and paths on the road is where no other lights are present, can rely on the 50 LUX.